Most people come into a lawyer’s office scared, confused, and in need of immediate assistance. This is the job of the lawyer – to assist these people in obtaining legal relief for their concerns and injuries. In most cases, the first few meetings between an attorney and new client are spent allowing the client to describe the event in sufficient detail to allow the attorney to formulate a strategy designed to help the client. However, the longer it takes an attorney to diagnose the client’s issue and formulate a strategy following a bus accident (or any type of injury), the more time the client must spend without compensation. Not only this, but a case can become more difficult if the lawyer is unable to take swift action on a case. Important documents and evidence can be lost and the memories of key witnesses can fade. To better help your attorney assist you more quickly, you should research the following topics before your initial meeting with your bus accident lawyer. If possible, write this information down so that it is not forgotten before you have a chance to speak with your bus accident lawyer. Bus driver and the bus company: First, collect information about the bus driver and the company he or she worked for. Do you remember the bus driver’s name? What he or she looked like? Did you obtain the driver’s commercial driver’s license number? Did the bus driver show you insurance coverage documents? Do you remember the bus driver saying anything about the crash, either to you, a police officer, or to him- or herself? When it comes to the bus company, do you remember the name of the bus company? Do you remember where the bus company was headquartered? Details about the accident: You should record and detail all aspects of the accident as you remember them. How did the accident occur? What was the traffic like at the time (light, moderate, heavy, other)? What were the weather or road conditions like? Did the bus driver honk his horn or take evasive action? DO you recall seeing a traffic control sign or signal device that the bus driver may not have seen? What happened after the accident? Who did you speak to and what did you say? Did the bus driver ever say he or she was sorry? Medical records: Bring along all medical records and letters pertaining to your bus accident injuries to your initial consultation. These documents are crucial in establishing the extent of your injuries and showing that they are consistent with the types of injuries typically suffered in a bus crash case. If you do not have your records available, bring a sheet that details the names and addresses of any doctors you have seen, what treatment they have provided to you, any diagnoses you have received since the accident, any procedures you have had performed, and any new medications prescribed to you. Your vehicle: If your vehicle was damaged or destroyed in the bus crash, be able to provide insurance documentation, registration, a description of the make, model, year, and condition of the car, and details concerning any repairs you had performed on the vehicle as a result of the bus crash. Personal and financial details: Finally, bring with you details about your employment, rate of pay, and details about any time you missed from work as a result. 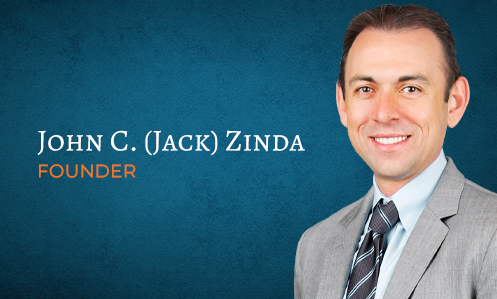 By researching these topics and bringing information with you when you meet with one of our Zinda Law Group bus accident lawyers, we will be able to analyze your situation and take action more quickly. Set up your consultation with one of our attorneys by calling our offices at (800) 863-5312.